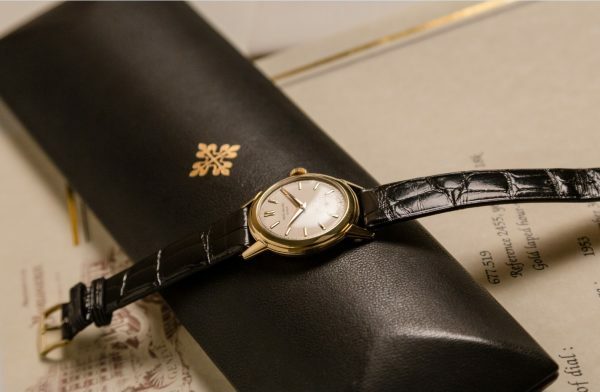 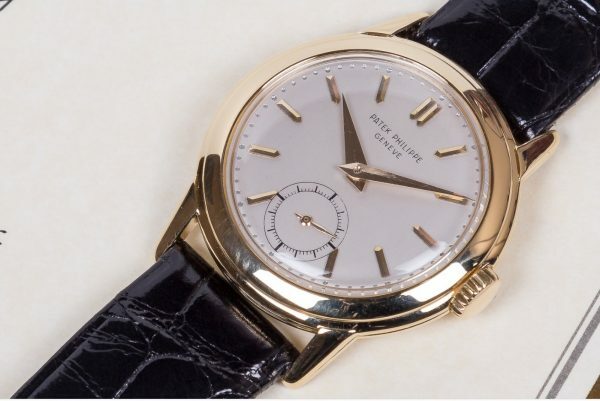 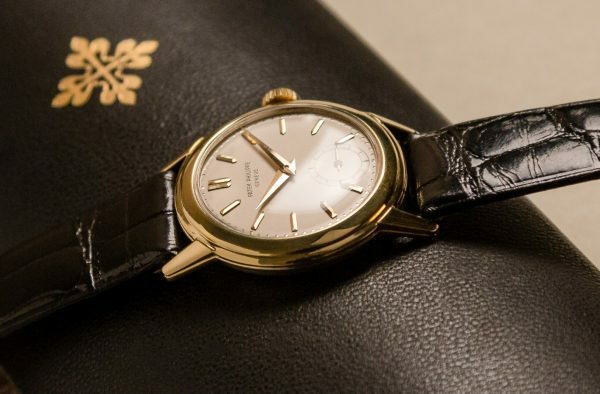 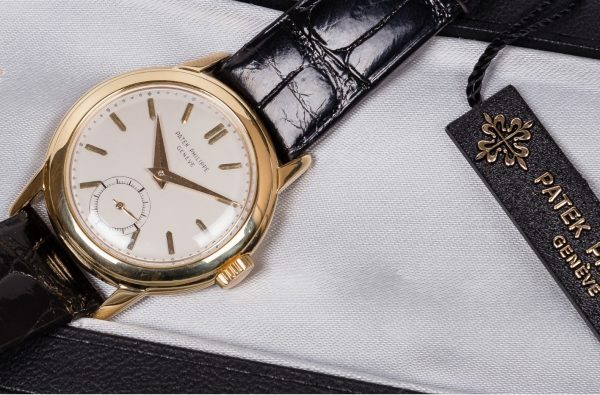 PATEK PHILIPPE Vintage Calatrava ref. 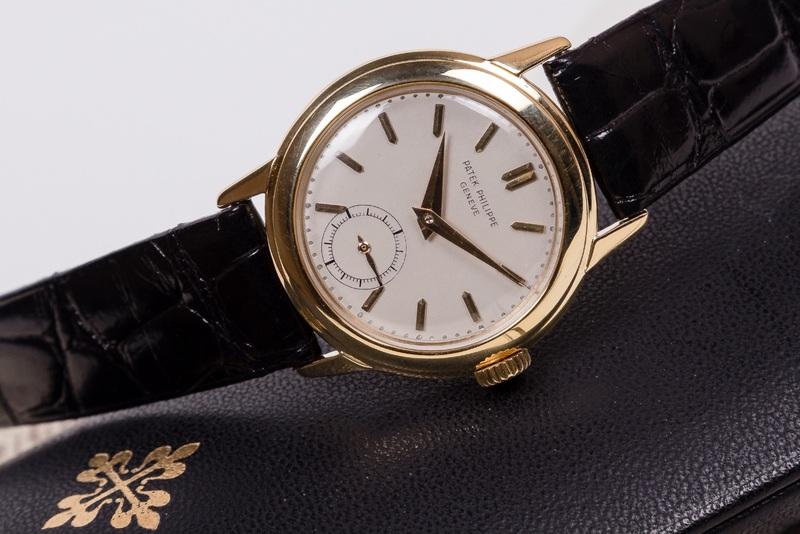 2455 in Yellow Gold from 1953. 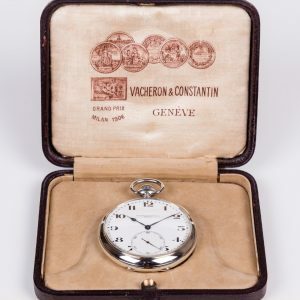 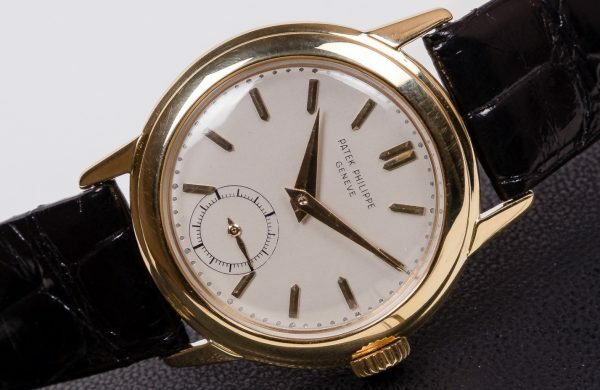 Rare, unusual watch in very good condition, for sophisticated collectors. 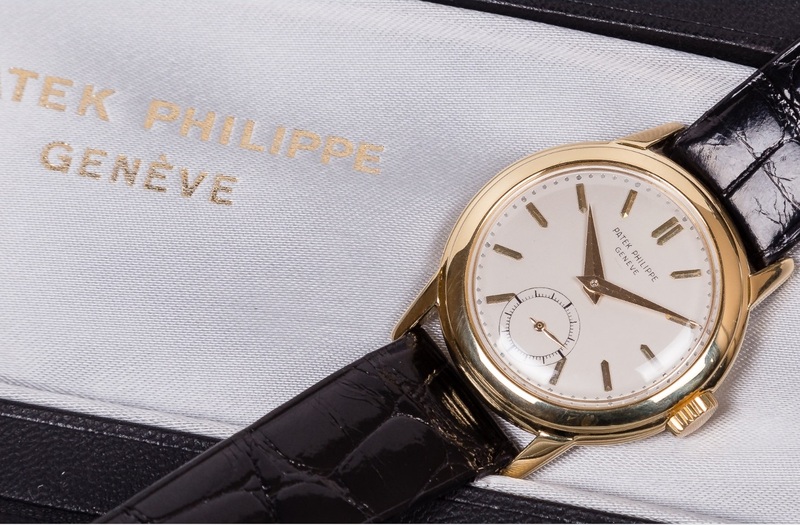 Original indelebile, matte white dial. 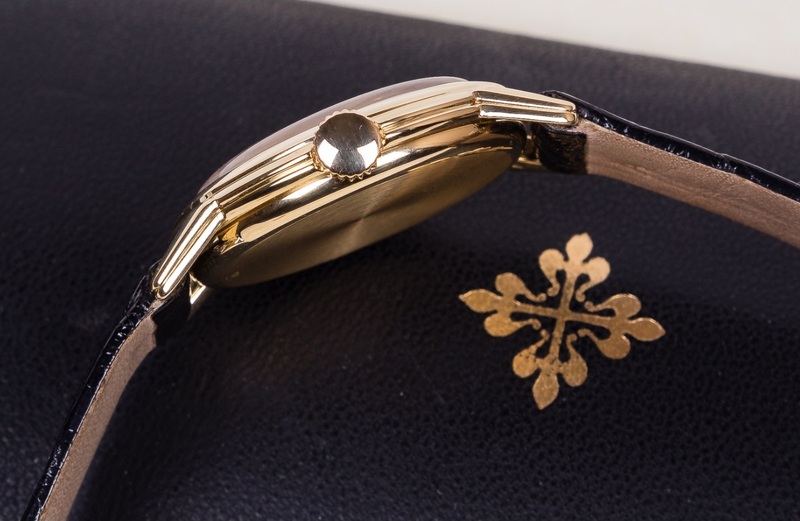 Case: Two-body, solid, polished, stepped bezel, lapidated lugs, snap-on case back. 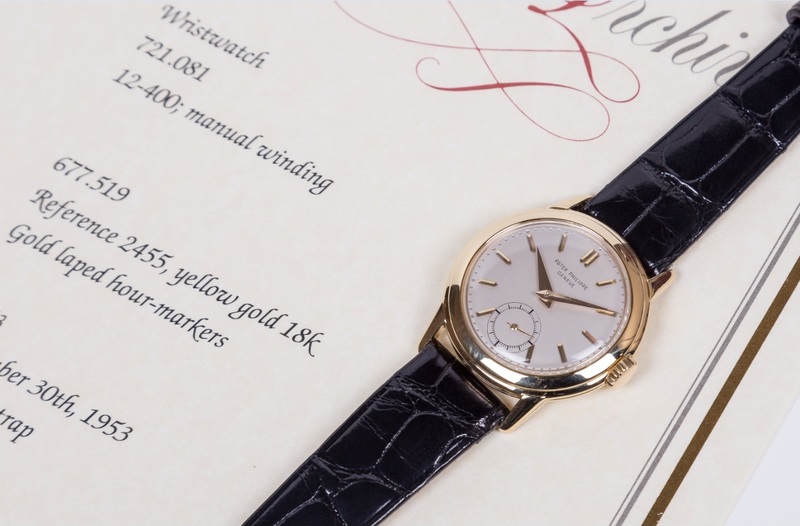 Dial: Matte white with applied yellow gold baton indexes, subsidiary dial for the seconds, outer engraved minute division. 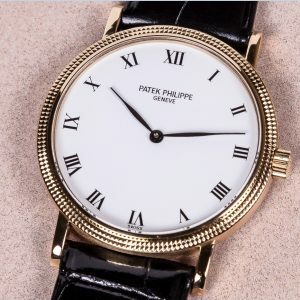 Yellow gold dauphine hands. 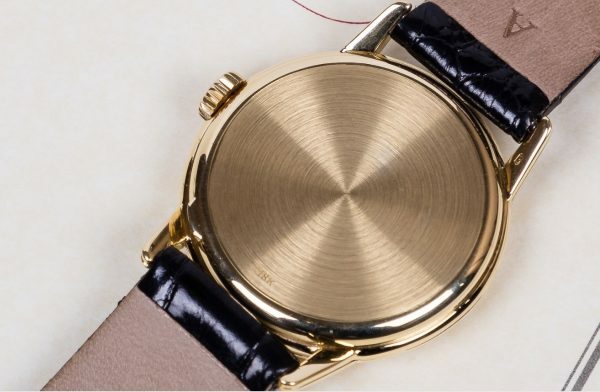 Movement: Cal. 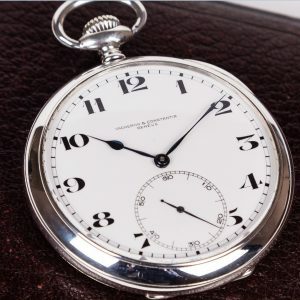 12-400, rhodium plated, fausses cotes decoration, straight line lever escapement, bimetallic balance, blued steel Breguet balance spring, swan-neck regulator. Dial, case and movement signed. 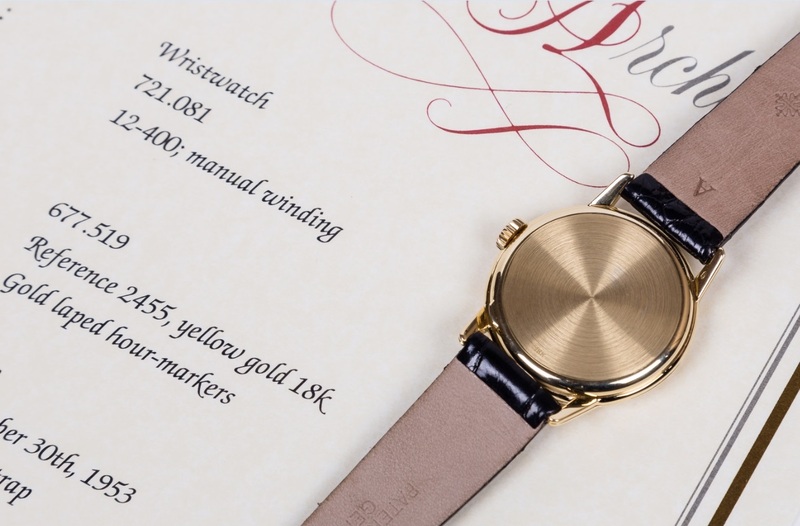 Diameter: 34 mm. Thickness 10.5 mm. 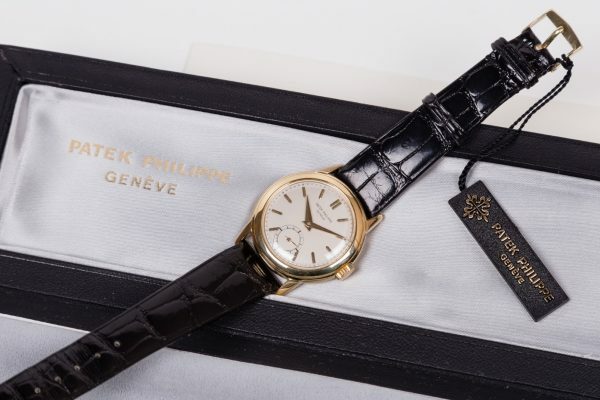 Patek Philippe Extract from the Archives confirming production of the present watch in 1953 and its subsequent sale on September, 1953. 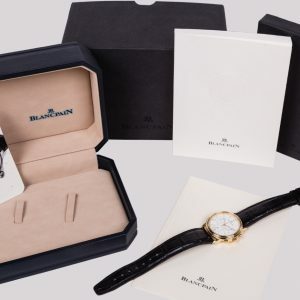 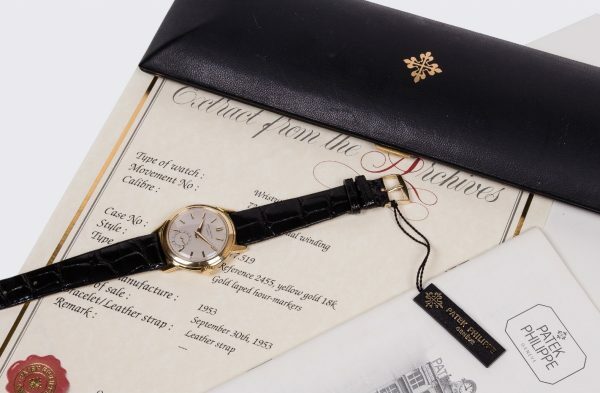 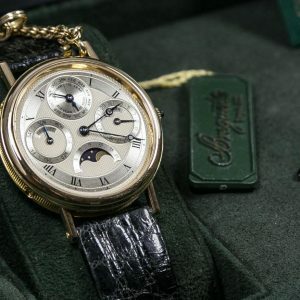 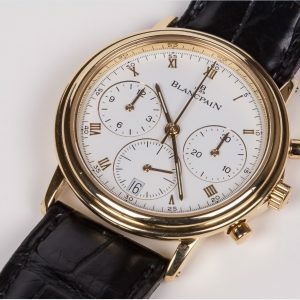 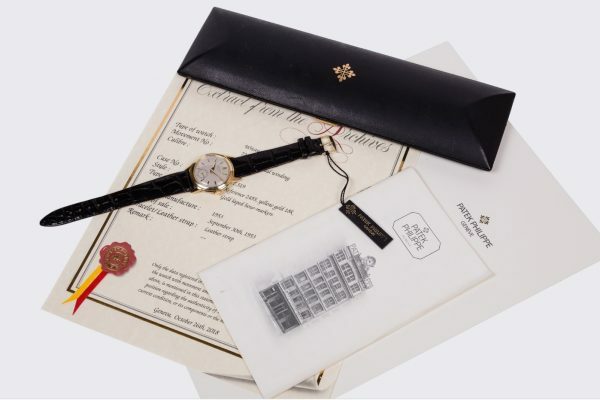 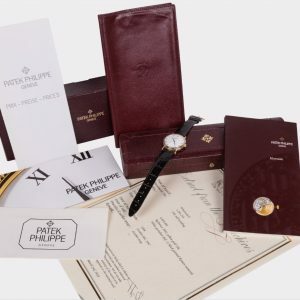 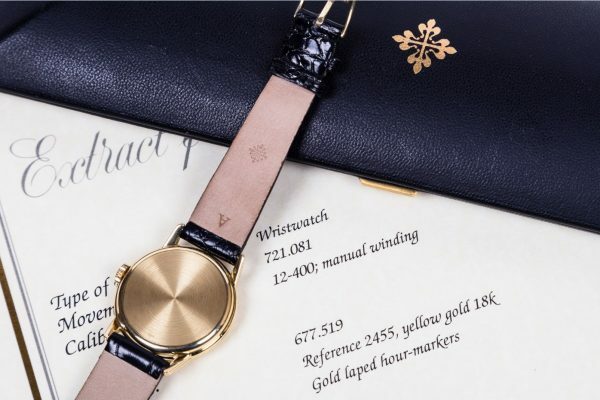 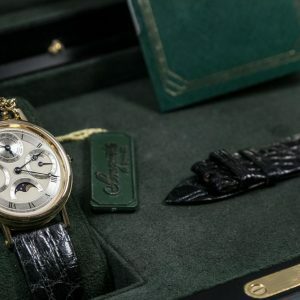 Watch is in very good condition, accompanied by the Extract from the Archives, Patek Philippe rare leather box, yellow gold Patek Philippe buckle and alligator Patek Philippe strap.